the LORD … JESUS… CHRIST ONE IN 3??? Great article..It’s very disheartening to see those that claim to hold the truths of God, to be seen worshiping Jesus,Mary,the Saints,the Bible,a building,ETC..And pushing away those who disagree with what they believe instead of searching for the truth themselves..Hopefully we’ll wake up soon…Keep up the great work!! (Joh 20:27) Then saith he to Thomas, Reach hither thy finger, and behold my hands; and reach hither thy hand, and thrust it into my side: and be not faithless, but believing. He was so impressed that Thomas could do nothing else but acknowledged that Jesus was his Lord and then acknowledged the wonder and gratefulness to His Father, who was soveign in everything. I think you made your case very well. Nice job! On a side note, I also agree with your assessment of Pat Robertson’s comments on why Haiti experienced the recent earthquake. Jacob, great job….this was one of the things that God used to drive me out of Babylon…The teaching that Jesus was God, Jesus made it very clear He was the son of God, not once did He say He was God. Thank you for writing this, you express your thoughts very well…. be blessed my friend..
40 years ago I took a lesson from the Lord’s Prayer. That was to address my prayers to GOD not Jesus. I really never have felt that I worship JESUS. However I do go to GOD in Jesus name because it was Jesus who gave his life to save me But GOD is my father. The 3 in one has never bothered me. I have only understood it as I see in Genesis that the 3 were there in the beginning and all came into being by them. I learned a long time ago not to have statues, pictures etc. of mans idea of Jesus, angels etc. hanging around my house. I did have those things many years ago. But even then I did not worship them. This brings up the question then of who is it that lives in me–is it God, Jesus or the Holy Spirit. Does it not say Jesus is the resurrection. It is he (Jesus) who rose from the dead. I think Jesus made it pretty clear–He said worship the Father but do we not have the resurrection within that Jesus died for. To me I have always seen it as God is the Father, Jesus being the one that everything goes through and was the created by. The Holy Spirit as being sent by both to guide, teach and direct us. I believe that all has to go through Jesus Christ, He being the mediator between me and God. I worship God, but Jesus is the resurrection power in me. The Holy Spirit does the work in me under Gods direction. I say I believe the 3 in one, but I have never understood it. In my mind they a 3 different ones but with the same purpose, saving me from myself. I may be wrong but I guess I just don’t see the importance of it the way Jacob does. I do agree that it is GOD that we are to worship. Jesus was the means to show us that there was eternal life. The Holy Spirit is our constant companion. OR (I am dumber than a post.) GOD KNOWS. I agree with you Bonnie. I agree with you Jacob. I also think that this belief that Jesus is God is what keeps people from being able to say with Paul, …”as he is so am I in this world…” because people are so afraid they will be accused of saying they are God…but how can we be anything else but “as he is” if we are indeed part of him…(he being the head and we being other parts of the same body)…I just don’t understand why people can’t put it all together and fully accept and embrace who we really are…how else are we supposed to touch the world with God if we don’t BE CHRIST/GOD REVEALED IN FLESH to them?!?! Very interesting article. Can’t say that anyone I have ever read put such depth of scripture in any such writing. I will now have to ponder on “Lord”. I appreciate every insight you will share as it provokes great thought. The Lamb slain before the foundation of the world came into the world, and offered himself a sacrifice at a precise hour in time. He did not decide to leave because he saw that men would worship him as God, instead of the Father. Refering to Jesus as the “Big Kahuna”, or “J-Man” causes me concern, Jacob. First my man, the WORLD (lust of the flesh, lust of the eyes, pride of life) — The LAMB/TRUTH was SLAIN before the WORLD indeed. The TRUTH was killed the instant, we became EGOMANIACS who wanted to be god ourselves. 2nd, About Jesus not needing to go. John 16 6But because I have said these things unto you, sorrow hath filled your heart. 7Nevertheless I tell you the truth; It is expedient for you that I go away: for if I go not away, the Comforter will not come unto you; but if I depart, I will send him unto you. We all are One with God, God is in us, around us. I am in the Father, the Father in me, etc… And although this is true, and we understand this we would not think making ourselves God is something we should do. For we understand, God is greater than we are. So Jesus too, did not think equating himself with God was something that he could take hold of and claim. Was God working in Jesus both to WILL and to DO of His good pleasure? Could Jesus have resisted His Father’s will? Job 23:13 “But He is unique, and who can make Him change? And whatever His soul desires, that He does. Yes, I think that is true about our wills. Regarding the comment above it truly is quite clear that Christ did have a WILL of HIS OWN, this is why He had to continually lay His will down for the Fathers, as in “not my will BUT thy will be done”. Sometimes we just read it in a way that the truth does not impact us. Christ did as He told us to do since he was tempted of all things (if you are tempted you must be permitted to accept or deny the temptation which proves further you must a a will to make a decision)Christ resisted the devil, submitted to God or God, His Fathers will; and the advisary had to flee. This is how HE and we become: OVERCOMERS. Truly we overcome the evil within by the blood of Christ, the WORD of our test a mony and not loving our own life (this worldly life and at time breath itself) unto the death, that HE may live (His will His character) not I.
Oh yes our blessed Savior had a will and He willed to do it Fathers way, laying down as a lamb led to the slotter a perfect sacrifice, perfect in his “gene”ology; for the blood of the Father ran through His veins.. His life in exchange for our eternal souls……..He knew that “Father knows best” even when the thought of the torture of His death would cause blood to drip from His brow for the brutal battle of wills transferring within the core of His being, the will to live was trying to overcome the will of the Father to lay down at the hands of evil men yet Good overcame evil that day but submission in obediance to every word the Father said. Praise His Holy Name!!!!!!!!!!!!!!!!!! Before there was time, and space, before there was a beginning, there was God. God has always existed. God exists outside of time, so the word “beginning” becomes meaningless. Time was created. The physical world includes time. Both were created simultaneously. God must have formulated a plan, but without the consideration of time, the concept of when he did that also becomes meaningless. God created all things. He always existed!! The word was with him, or part of him from before the beginning. The word was not created. It existed with God, as part of his person. When creation started (the invisible, and visible) the word was already there. If the word was not created, and was already present with God, and is part of God. Then the word is also God. We can not separate the word from God, it is a description of God, his personality, and plan. God didn’t have to create. He desired to create. He desires companionship. Where others were created, Jesus instead came forth, or was born. Jesus “IS”, before there was a creation. We are told that he created the universe, and everything else. It doesn’t matter whether he was still inside the Father, or not. When the father created, therefore the son created. But before the son came forth, God could not be consider a father. Therefore God was just God. Again because of the lack of time, because of the lack of linear events, or events that move in a straight line, it is impossible to determine, or grasp when these events happened. The Bible uses the terms Lord, or God interchangeably for the Father, the Son, and the Holy Spirit. Because they one. The terms Father, and Son are used to describe ministries, administrations, and the Government of the Godhead. Col 1:15-20 He is the image of the invisible God, the firstborn over all creation. 16 For by him all things were created: things in heaven and on earth, visible and invisible, whether thrones or powers or rulers or authorities; all things were created by him and for him. 17 He is before all things, and in him all things hold together. 18 And he is the head of the body, the church; he is the beginning and the firstborn from among the dead, so that in everything he might have the supremacy. 19 For God was pleased to have all his fullness dwell in him, 20 and through him to reconcile to himself all things, whether things on earth or things in heaven, by making peace through his blood, shed on the cross. Because Philippians chapter 2 verses 6-7 were mentioned by several commenter’s I decided to start there. I looked at several translations. Among which were The King James, Basic English, Darby, English Standard, The Literal translation, Young’s literal translation, American standard, Revised Standard, New American Standard, Living Bible, NIV, and Weymouth New testament. Of all the translations you can group the NIV, ASV, RSV,NASV together as how they read, and all the others are grouped together as to how they read. There are four representative translations below. The NIV group are the most difficult to read, but basically mean the same as all the others. All the translations that I examined state that Jesus was God. All state that Jesus emptied himself of his God power, authority, and benefits to take on the form of man. To make himself weak, helpless. To humble himself. Even unto death. Examine the meaning of each Greek word in those verses, and you will come to the same conclusion. The rest of the verse (john 1:18) says “except for Jesus, who also declared him”. In the following verses Adam , and Eve heard Lord God walk in the garden. If God was only a spirit (which can not be seen or heard), then man would not be able to hear him either. Would a spirit take a walk? Could you hear a spirit step on leaves, or brush back the foliage? If God the Spirit was calling to Adam, would he say where are you? Wouldn’t the father know? Unless his question was rhetorical. That’s also possible. But it is also possible that the post incarnate Christ, in physical form was walking in the garden. Being limited by his physical sense’s he couldn’t see Adam. He knew that Adam was going to eat of the tree, and he knew that Adam would be afraid and hide. 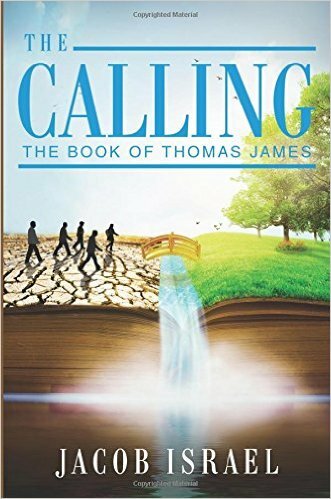 The King James, and Living Bible agree that the person walking in the Garden is the Lord God. Below is Young’s literal translation. The above verse uses the term Lord God 5 times. Gen 3:8 And they hear the sound of Jehovah God walking up and down in the garden at the breeze of the day, and the man and his wife hide themselves from the face of Jehovah God in the midst of the trees of the garden. Image in the new testament can mean profile, likeness, resemblance as it is in the above verse, when speaking about man. In other verses about idols, image may mean statue etc, In Heb 1:3 it says express image. In the Greek the meaning is exact copy, or from the same. Jesus is the only man in the new testament referred to as exact copy of God. If that is the case then he is essentially God. Man as only an image, is something less then that. The Lord God walked in the garden he could be heard, and was solid. I’ve already said that! The bible says “Let us create man in our image“, since Jesus is part of the us in that verse. They are speaking together. Jesus is the express image of God in both the spirit world and physical world. God wanted to create man not as the express image of God but as similar. Jacob already admitted else where that everything was created thru Jesus, and by Jesus. Man though isn’t up to par with Jesus therefore he isn’t the express image of God. he is just the image. There is no contradiction. Jesus is everything that God wants us to know about God. There is no real proof, specially since these statements are said to Israel. But I believe that there is room in the above phraseology, and some commentators agree that there is a message of plurality. From our vantage point after learning of the doctrine of the trinity, this would make sense. The father, Son, and Holy Ghost are one. In 1st John 5:7 of the King James; states that these three are one. That verse is added by the translators, and is not in the original text. But has the proper sentiment. Jesus and the father are one, is a greater statement than a believer stating that they are in Jesus, and Jesus being in them, and the father being in us, because we are connected thru Jesus. Jesus being one with the Father means that they are the same. Eternal life is not only about time. Eternal is about things that are pertaining to God’s nature. When Jesus is giving Eternal life, he is giving “God life” (ZOE) to his sheep. No man can do this. The life, and light was already in Jesus, from the beginning. Jacob skipped part of this verse, for some reason? But if you look at the above. It proves that the word is both God, and separate from God. The word is a separate entity, or individual. But he is considered God also. This separate entity is Jesus who was made into flesh. The Holy Spirit, and “God the Father” were not made into flesh. The word was. Jacob said Jesus had God in him, or the word was in him. The above verse says that the word became flesh. The word is not in the flesh, but was pre-existent then made into flesh. No man is of Godhead, but Jesus! Essentially Jesus nature must be like that of God. Jesus is not just a man, because no man has seen God. Ex 3:6 Moreover he said, I am the God of thy father, the God of Abraham, the God of Isaac, and the God of Jacob. And Moses hid his face; for he was afraid to look upon God. In the above three verse’s. The people take up rocks to kill Jesus because he said that he was the “I am”. God called himself the “I am” which is both a title, and a existential statement of self existence. All things were created by God. God is self existent. He always existed. God exists outside of time and space. When mass, matter, and space were created then was time also created. Moses was told to worship the “I am”. The “I am” says that he is God, therefore Jesus is saying he is God. Moreover the “I am” (Jesus) is stating that he is the GOD of Moses and his forefathers, Abraham, Isaac, and Jacob. Further more each time the forefathers mention their Lord, or God they are speaking of Jesus. Moses wrote the above account and he identifies the person as the Lord who is above the ladder, then Jacob himself states that the same person claims to be the Lord, and God. Jacob understands that there must be a God. But doesn‘t know who he is. But if this person that he saw takes good care of him, then he will identify the person called Lord as his God. The Lord doesn’t overwhelm Jacob with his appearance to the point where Jacob immediately identifies him as a God. God the father doesn’t appear to man as a person, only the Jesus aspect of the Father appears to man as a human. The Lord (who is the “I am” which Moses has already met) asks for worship from Moses and others. Angels don’t ask for worship. Rev 19:11-13 And I saw heaven opened, and behold a white horse; and he that sat upon him was called Faithful and True, and in righteousness he doth judge and make war. Based on his clothes this must be Jesus, and he is called the word of God. Remember the word is with God, and is God, and he was made flesh. No man!!! Only Jesus who is called the Lamb, can open the book. The Lamb of God was someone who was sacrificed for us (lamb) , and was not a man, and was sent to us from God. God provided the sacrifice like he did for Abraham. Rev 13:8i n the book of life of the Lamb slain from the foundation of the world. Jesus the lamb was slain from the foundation of the world, before there were people, before there was a world, there was the lamb of God, he was with God, and was God, and he was part of Gods plan for our redemption. Therefore everything was created by the Lamb of God. The lamb of God is also the Word of God made flesh. Rev 21:6-7 And he said unto me, It is done. I am Alpha and Omega, the beginning and the end. I will give unto him that is athirst of the fountain of the water of life freely. Jesus is the Alpha , and the Omega, and he will be our God. If we honor the father as God, then we should also honor Jesus , or the son likewise. As God. Jesus came from heaven. He came down, and will ascend. No man can claim that. Jesus is everything from the first letter [the Aleph (alpha)], to the last letter of the alphabet. Jesus came from the bosom, heart, or insides of God. Jesus is the only one who could really know him. Because he is of the same nature. The alpha, first, and the omega, the last, is also the resurrected one. Jesus!! Jesus is the only person that can be considered as the living one. The alpha, and the Omega says that he is God, and the Almighty. God Almighty of the old testament is also the Alpha, and the Omega. Jesus. Lord. Ps 24:10 Who is he, this King of glory? The Lord Almighty — he is the King of glory. Jesus is considered King of Kings. Could he be the King of Glory? Slain before the foundation of the world, with the father from the beginning, had glory from the beginning! Who? Jesus! Jesus will sit on a throne, as king. That’s what Kings do! Throne of Glory. Therefore he is the King of Glory. Living God refers to some one who was alive, and died, and is now alive again, and for evermore. Had a physical form. Had material life. Has Eternal God life. He had life in himself. He is the living God. The father is also the living God, and Jesus is the son of the living God. See below. The Lord is the living God. The Godly King. The living God made Heaven, and Earth. We know that the Word of God did that. Jer 10:10 But the Lord is the true God; he is the living God, the eternal King. Acts 14:15-16 are bringing you good news, telling you to turn from these worthless things to the living God, who made heaven and earth and sea and everything in them. There are only two persons considered was, and to come. The antichrist (beast) who is of the seven kings. And is also the eighth. Jesus was, is, and will come. “Was” means, alive in the past. “Is” alive at the time of the statement and “will come” again in the future, 2nd coming. This verse points to Jesus who is the only one that is Almighty, Lord God. John was sent by him. We know that it is Jesus that appears to John and tells him to send a message to the seven churches. Jesus is on a Throne. He is King. The almighty is the one who sent John on his mission. God the Father isn’t the one to come. Worthy to receive. The Father already had Glory, and doesn’t have to receive it, or prove his worthiness. Jesus proves his worth, and receives. Begun to reign, can only mean Jesus. Jesus is judge. Every knee shall bow to Jesus. He judges, and is God. Isa 45:21-25 Who foretold this long ago, who declared it from the distant past? there is none but me. 22 “Turn to me and be saved, all you ends of the earth; for I am God, and there is no other. 23 By myself I have sworn, my mouth has uttered in all integrity a word that will not be revoked: Before me every knee will bow; by me every tongue will swear. 24 They will say of me, ‘In the Lord alone are righteousness and strength. '” All who have raged against him will come to him and be put to shame. The captain of the Lords Host receives worship. The word “Lord” is interchangeable between the Father, and the son. They are both God, and Lord. Both the Father, and the Son are the Lord. Jesus is the son of man. He is Lord. The Son of Man commands the angels. They are his angels. First of all, Jesus was a man of flesh and blood just like the rest of us. The only thing that separated Jesus from us is that he was the first born. This fact alone tells us that Jesus is not God. The word that was with God in the beginning and that became flesh was not Jesus the man, it is Christ that was, is, and is to come. Christ is the image of God, Christ is the son of God, Christ is the mediator between man and God, Christ is who has tasted death for every man, and Christ is who we are all destined to become. Jesus the man was simply the first to become Christ. He is now the head of the body of Christ which we will all be a part of in due time. All of us have the seed of Christ in us already, now that seed must be fertilized so Christ can be birthed in us. This is how we are re-born. The problem is that it is hard for people to distinguish between Jesus the man and Christ because Jesus became Christ and is now called Jesus Christ or Christ Jesus, but he is only the first man to become Christ. Jesus is our pattern and we will become Christ(the image of God)each in our own order. I know you may not want to hear this, but I do ot believe Jesus the man came about by way of virgin birth. I believe he was born naturally just like the rest of us. I believe that the story of Jesus’ birth along with all the other stories in the bible have deeper meanings. Jacob already wrote a wonderful and powerful essay about this. We will never see these truths as long as we are operating throught the carnal mind. That is why you have a problem with Jacob saying God is invisible and that no man has seen him. You cannot accept this because of the story of Adam and Eve where it says God was walking in the Garden. You believe that God has to be in some sort of solid state because of this. You are not looking at scripture through a spiritual mindset, you are looking at it through a carnal mindset. Jesus did not die for your sins. Christ is the slain lamb of God. Christ was foreordained from the foundation of the world to be the slain lamb of God. How could Jesus, a man of flesh and blood save you from your sins by being crucified on a wooden cross? The true crucifixion must take place within and is that of the carnal mind. Jesus was a man who became Christ. Christ was birthed in him. That is the real virgin birth. The virgin birth will take place inside all of us. The death of Jesus the man on the cross is symbolic of the crucifixtion of the carnal mind that we will all have to endure at some point. This will not happen until Christ is birthed inside of us. Now, do not get me wrong, I am not saying that Jesus the man did not actually exist some 2000 years ago. I believe he did. But the stories in the bible even if they all actually happened as they read, contain much deeper spiritual truths that directly pertain to us. So, in a sense, the story of Jesus is the story of us. The story of the prodigal son is the story of us. The allegory of Adam and Eve is the story of our beginning in this physical realm. I hope I have not offended you in any way. That was not my intent. I too use to struggle with these things, but know that God is drawing us all to His son Christ. Jesus the man is no more. Jesus the man became Christ and that is who he is now. He is not Jesus of Nazareth, he is now the son of God. He is no longer a loley carpenter’s son, He is now Christ, the son of God. Think of it this way, a catepillar starts out as a catepillar, but as it grows and matures, it transforms into a butterfly. Is that butterfly a catepillar too? The answer is no! The catepillar completely morphes into a new creature. What is important here is that the catepillar from its very beginning is destined to become a butterfly. Once the change is made to the butterfly, it is a new creature, its old nature is no more. It no longer slowly crawls along the ground, it is free to fly beautifully through the air. It matters not who the first catepillar was to become a butterfly. The fact is that every catepillar will, at some point, become a butterfly. Sir, we are all like catepillars. Jesus was also a catepillar in a sense but he was the first catepillar to be changed into a butterfly, which was always his and our true identity. When we think of Jesus, we must no longer think of him as the man Jesus. We cannot think of him as Jesus of Nazareth, or Jesus the carpenter’s son. We can only know him now as Jesus the Christ because he is now Christ! Jesus the man crawled slowly along the ground so to speak as we all do, but he became Christ and is now free to fly above everything and everyone. Jesus the man did not pay for your sins, Christ did. Christ has tasted death for all of us including Jesus the man. The crucifixion of Jesus the man was not the death of Christ. The death of Christ happened before the foundation of the world when the word(Christ) was sent out into the world. That happened by God placing the seed of Christ in each and everyone of us just as He did with Jesus the man. That is how Christ has tasted death for everyone of us. The crucifixion of Jesus was that of a man of flesh and is symbolic of the the crucifixion of the carnal mind which is always symbolized by the flesh. Are you beginning to understand? I hope so. The last thing I will say is this, Adam was sown a physical body, but Jesus was made a quickening spirit. The quickening spirit is Christ. Jesus started out as a man of flesh just like all of us, he was carnal just like all of us. Now, please understand that we are not our bodies of flesh and blood. We are spirit as our Father in Heaven is spirit. The flesh truly represents our carnal nature that must be crucified. When Jesus said that if our eye causes us to sin, we must pluck it out and throw it into the fire, he was not advocating us mutilating our bodies. He meant that we are to submit our carnal natures to the fire of God so it can be completely consumed. So, getting back to what I was saying. Jesus was a carnal man just like us. The seed of Christ was in him from the beginning just like it is in us. Jesus was chosen to be the first born of many. The many really means all because all will be re-born. Through much trial and tribulation, Jesus was re-born, that is how Jesus became Christ. This will happen to all of us in our due time. He had a will right— (‘not my will but Yours be done’)??? and yes Jesus’ body died on the cross but He overcame death & his Spirit descended into ‘hell’ and ministered to the spirits there and then He appeared to the disciples (etc???) in resurrected body for some days and they didn’t exactly recognize Him before ascending into heaven right??? Haha, confused, please let me know if you can!!!!!!! The death being spoken of here is not physical death, it is spiritual death. Jesus said let the dead bury the dead. Do you think he was speaking of dead corpses burying dead corpses? He was actually speaking of the spiritually dead burying the physically dead. We all have become spiritually dead. This is explained in Genesis in the allegory of Adam and Eve. When we partook of the tree of knowledge of good and evil, we died, that is we spiritually died. You see, we are not our physical bodies. We are spirit because we have been created in the image of our Father who is also spirit, therefore, the only death that pertains to the true us(spirit) is that of spiritual death. I believe that is what Jesus overcame, but truly, Jesus the man did not overcome anything. Christ overcame death for Jesus the man just as Christ will overcome death for all of us. Where scripture says that the spirit of Jesus descended into hell and he ministered to the spirits there, I believe that is speaking of his ministry right here on earth! I know it may be a hard pill to swallow, but if the true death is spiritual death, which Jesus said it was, and the place of death is called Hades, which is commonly referred to as Hell, as Jesus also said it was, then we are already in Hades/Hell. This physical realm that we fell into when we spiritually died is Hades or Hell if you prefer to call it. This is where Jesus made proclamation to the spirits. This physical realm and our physical existence that we mistakenly call life is not our true reality or our true identity. Our true home is the spiritual realm and our true identity is Christ. As far as Jesus appearing to the disciples in resurrected form, I believe he did. Again, I believe the crucifixion and resurrection of Jesus the man historically happened, but the story also contains much deeper spiritual truths. I believe the story of Jesus’ crucifixion represents the crucifixion of the carnal mind that we will all have to experience in our due time as foreordained by God. Flesh in scripture represents the carnal nature of man or the carnal mind, so when Jesus’ body of flesh was crucified, it was symbolic of the crucifixion of the carnal mind. The resurrection of Jesus was not that of Jesus the man, but that of Christ. Jesus the man became Christ, therefore, Jesus the man, after his crucifixion, was no more. God, our father, has placed the seed of Christ within all of us. This is how Christ has tasted death for all of us. In due time, the seed of Christ will be fertilized and Christ will be born in us. When this happens, the carnal mind will undergo crucifixion until it is completely consumed leaving only Christ. That is why Paul said it is not I who live, but Christ who lives in me. The “I” Paul was speaking of was his old carnal nature. Paul had become a new creature that is Christ, which is his and our true identity to begin with. As far as the resurrected body of Christ, in the story of Jesus’ resurrection, I do not know. I can only assume that once our change is fully complete, we will also have a body that is capable of experiencing both the spiritual realm and the physical realm. That is why Jesus or Christ was able to eat and speak with his disciples after the resurrection, but he could also walk through walls and when the 40 days were finished, he went back to the spiritual realm which is our true home. Hi!~ Thanks so much. I kept thinking (I live in France, like to learn languages) that Christ means ‘messiah’ (anointed one) in Greek… right?? Also, this is kind of school assignmentish of me to ask, but would yuou please tell me what your ‘definition’ (in words- ah! words) of Christ would be– is it ‘image of God’ ‘quickening spirit’ or something like that? You said a few times that Jesus became Christ– so was curious. I believe that “Christ” means “annointed one”, but Christ is also the express image and likeness of God and is also referred to as a quickening spirit. Christ is truly all of these things. In Genesis, God says let us make man in our image and likeness. Christ is the express image and likeness of God and is what man is destined to become. So that is why I said Jesus became Christ; he was made into the express image and likeness of God the Father in Heaven which is Christ. The quickening spirit means a life giving spirit, which is exactly what Christ does. When Christ is born in us, the carnal mind will begin its crucifixion until it is completely destroyed and Christ will be fully alive in us. It is at that moment that we will have been resurrected by passing from death to life by the power of Christ in us. Last but certainly not least, Christ is also called the son of God. Again, the terms annointed one, quickening spirit, and son of God are all the same thing which is Christ. The way I look at the over-all process is that we all begin our journey as children of God our Father. We are His children because He created us in His image which is spirit and planted the seed of Christ in us to be born in us in due time. We all partook of the tree of knowledge of good and evil which cause our spiritual death and made us carnal. We had to become carnal to experience good and evil which is a requirement to being made into the likeness of God. When Adam and Eve ate off that tree, God said that man had become like him to know good and evil, so obviously this is why we are here, to know good and evil, and the only to know anything is by directly experiencing it. At some point in our journey through death, God will have that seed of Christ to be fertilized and finally born within us. When this happens, the process of crucifying the flesh(carnal nature/carnal mind) will begin. Once the process is complete, Christ will be fully alive within us. We will no longer be a mere child of God, but we will be the son of God. I hope I have not been too redundant in my comments. It is sometimes hard to explain. However, if it is easier, think of it this way. Say you have a baby. That baby is in your image, that is, that baby shares your dna, genes, and many physical traits. However, that baby is not yet in your likeness, meaning that baby does not think, act, and feel the same as you do. If it is your desire for your baby to grow up to be like you, then you will provide a means for that to happen, and if you are successful, that baby will mature into a child, and eventually an adult and will be of the same mind as you. This is what God is doing with us. We are already in His image which is spirit and are His children. The end result is for us to be in His likeness too, which is Christ, the son of God. Well, I hope throughout my rambling I have given you the answers you were looking for. As you can tell, I am not the best at explaining these things, but I hope I have managed to help you some nonetheless! Would you like to read what I wrote about Jesus being God using the book of Revelation? Its address is http://peacecrusader.wordpress.com/2010/02/10/is-jesus-christ-true-man-and-true-man/. This is the description of God said to the angel of the church of Ephesus – “he that holdeth the seven stars in his right hand, who walketh in the midst of the seven golden candlesticks”. Who are the churches? WE are the churches. The kind of church we are is described in Revelation 2 and 3. Sorry. My error in the link I cited. It should be http://peacecrusader.wordpress.com/2010/02/10/is-jesus-christ-true-god-and-true-man/. I will not present a rebuttal to your argument that Jesus is not the one true God. The knowledge of God comes only by revelation. God himself reveals himself or conceals himself in accordance to his own purposes. One thing I can relate, is that I found the Pentecostal Oneness teaching to be helpful in putting a solid scriptural background in support of showing that Jesus is the one true God. As the Spirit moves and leads you, no doubt you will come across this set of teachings. I found that they give good and satisfactory answers to all the arguments that you posted. God Bless you all in your continued journey. but please say you are kidding about this Pentecostal nonsense. I don’t mean that in a mean way. *I just want to add, if Jul Must decides to say something religious, judgemental, or ‘mean’ I hope I don’t necessarily ‘deserve’ it, but also I hope y’all will get my ‘back’— Oh, to be young. Most of all, I know Jul Must doesn’t really want to say anything judgemental, religious, or mean in response at all & really just wants to know the Truth and be set Free like we all do!!!!!!!!!!!!!!! I have already posted a few other times pertaining to Jesus being God. I acknowledge that just because I believe a certain way does not make it true for everyone else, but I have shared my beliefs about this with others on his blog because I want others to have this light as well. To begin, I just want to state that I am no one special. I am not a know it all, and I have no desire to point fingers and call out others who I feel are wrong in their beliefs. What I am is a truth seeker. I have long struggled with my own carnal mind for a very long time and have found it to be exhausting as I am sure so many others have. The one thing that has kept me going is the small voice inside of me that keeps telling me to keep moving forward, don’t stop. You see, we are all on the same journey whether we realize it yet or not. This journey is full of ups and downs, and often times, many pot holes. There are pearls of truth everywhere, though, even in the places we would least expect to find them. These pearls of truth are like small pieces to a humungous gig-saw puzzle. God gives us a piece here and a piece there. It may not always be an edge piece and it may not always be a piece that locks into place with a piece we already have, but he gives it to us nonetheless and eventually, we will see the puzzle beginning to take form as we get more pieces from God, our Father. I hope to give you another piece that I believe in my heart of hearts God has given me. Okay, here it goes. I feel that the reason many people believe Jesus to be God is because they have not yet been given the understanding that Jesus the man and Christ are not the same things. Yes, Jesus was called Christ, or more often, Jesus Christ or Christ Jesus, and for good reason. The good reason for this is that Jesus the man became Christ, but he did ot start out as Christ. Before he became Christ, Jesus was a carnal human just like you and me. I know this may be hard to accept, but it is true. I know the gospels state that Jesus was born by way of a virgin birth, but we need to look at scripture not through our carnal mindset, but through a spiritual mindset. God is spirit, His words are spirit, and He must be worshipped in spirit and in truth. Scripture is about spiritual things, not carnal, physical things. This does not mean that there was not a Jesus the man that physically existed some 2000 years ago. I believe there was and I believe many of the stories in scripture actually took place, but the real pearls of truth are not found on the surface of these stories, they are found much deeper. So, with that being said, I believe that Jesus the man was born naturally into this physical realm just like you and me. I believe he was a carnal human just like you and me. However, what made Jesus different from you and me, and the only thing, is that God appointed him to be the first born of Christ of all of us. That is the difference. Jesus in the flesh was not the son of God, he became the son of God when Christ was born inside of him. Christ then crucified Jesus’ carnal mind and Jesus then passed from death to life and became Christ. Paul said to be carnally minded is death, but to be spiritually minded is life. Jesus the man did not taste death for everyone, and his crucifixion has not saved us from our sins. Christ is who has tasted death for everyone and Christ’ sacrifice that was made from the foundation of the world as the slain lamb of God is what will save us from our sins, not the physical crucifixion of the man Jesus. Now, do not get me wrong, Jesus the man is now Christ. We are all destined to become Christ. The seed of Christ is in all of us just as it was in Jesus the man. The only thing different about Jesus the man was that he was the first to be re-born. This is the true virgin birth, that of Christ being born in us. The true crucifixion is that of the carnal mind, our old nature. The true resurrection is that of Christ in us, our new nature. You see, our salvation does not come from something external, it comes from within. Jesus said the Kingdom of God will not come with observation, the Kingdom of God is within. So, there is God, who is the Father of us all, then there is the Son, which is Christ and is what we are all destined to become. Christ is the express image and likeness of God the Father. We as spirit are our Father’s children. That is already true now because we all came from Him and we will all return to Him. But here is the key, we start out as a child of God but we eventually become the Son of God which is Christ, which is what Jesus the man did some 2000 years ago. Just as in Adam all have died, that is we have all spiritually died, in Christ, all will be made alive, that is spiritually alive. Adam was sown a physical body(carnal nature) but Jesus was made a quickening spirit(Christ). Paul said to be carnally minded is death, but to be spiritually minded is life. The mystery hidden from us for ages is the truth of Christ in us. Paul said it is no longer I who live but Christ who lives in me. The “I” Paul spoke of was his old carnal nature or carnal mind. His new nature is Christ. So, Adam represents all who spiritually died, which is all of us, and Christ represents all who will be made spiritually alive. We will all be part of the body of Christ with Jesus being the head of the body because he was the first born as foreordained by God. And what does the name of Jesus mean? God saves. On the subject of Jesus either being, or not being God, neither you, nor Jacob show any sound understanding of this subject. I also see that neither one of you guys have tried to debunk what I had said on the subject. What does it matter what you guys think, your both close minded, and blind? Be happy in your fantasy world. AMEN! I can’t agree with you more TJ. 🙂 And I definately don’t know it all…but God IN me does and it is that spirit(thought) we should listen to. I am sorry if what I said offended you. I truly meant no harm. I fully agree with you that the “word” was not created but existed with God before time. Scripture tells us that the word was with God and the word was God and the word became flesh. So, yes, the word is God. It is the express image and likeness of God and it becomes flesh by being born in US. The story of Jesus is truly our story. I am not saying that a man named Jesus never existed. Maybe he did, but for me, that does not matter. My faith does not rely on a literal Jesus being born by immaculate conception, and then being crucified on a wooden cross some 2000 years ago. Sure, the story is emotionally moving, but the story itself does absolutely nothing to change a person on the inside where it counts. The true virgin birth, crucifixion, and resurrection all take place inside of US as God has ordained. This is the only way we can truly be changed. So, in a sense, Jesus was God because Christ, who is the word of God and is God, was born in him. The man of flesh and blood called Jesus was no more, he had become Christ, the son of God. In closing, I do not wish to engage into an ongoing debate. I have been there and done that and nothing good ever comes of it. The fact that you have come to this site to begin with tells me that God is drawing you to the truth. I am not saying that Jacob is all-knowing or anything crazy like that, but God has certainly raised him up so He can speak to us through him. I know that what Jacob writes is truly coming from his Father which is also our Father. I can tell you that God has been drawing me to the truth for a long time now and in the process I have met many people who I now know are blinded and Jacob is not one of those people. You will not find many out there that will take the time to respond back to you unless it is to rip your beliefs apart, so give God thanks that He brought you here. You are here for a reason. I could debate you theologically but I simply say your teachings are heresy and demonic in nature. If you deny the Son the Father will deny you. See you on the left. Revelation 1:8 I Am Alpha and Omega, the beginning and the ending, saith the LORD, which is, and which was, and which is to come, the Almighty. Genesis 1:1 In the beginning God Created….He is coming back as our Judge, cause He walked with us in the flesh and took on all sin and knows what we have gone through. God the Father cannot. For He is an all consuming Fire. God. The Word became flesh and dwelt amongst us. Jesus was 100% human and 100% deity. God became flesh for US. Because He loved us how else will He be come back as Judge? We are all on probation and we need to look at ourselves first and make sure we are standing with the Word, to be rigtheous before Him. Hey Emily, I agree with most of what you said. I do see it and understand it differently but that’s okay. Consider this, Jesus said “As He is so are we”, “You are the Light of this world:”, “greater works then these shall you do”, “That they may be ONE as We are One”, and so on and so on. Jesus made it clear as he did we must do. the “first born among many siblings”… here is my question to you. Are you greater or worse than your siblings? Or would you say, that you and your siblings are of equal standing in your parents eyes? My point is, don’t make a God out of One man, when that One Man is Everyone = ONE. You are the CHRIST’S BODY, the CHRIST’S NAME is given to you, you put on the Mind of Christ. You are His Body, His Thoughts, and you are called by His name… WHO ARE YOU? Consider that? My point is, if you don’t ENTER the SHEEPGATE you can’t be SHEPHARD, you’ll remain a Sheep. But the SHEEP that enter the Sheepgate, the DOOR (CHRIST/GLORY), YOU, YOU, YOU become the SHEPHARD of the SHEEP. As he is so are we, as he did so must we, for we and he are the same! WE ARE ONE! And there is no way anyone can separate ONE from ONE. There simply is ONE. Jacob, you are going to burn in hell for your herecy. Kidding. Good thing God is so good, He wouldn’t even think to burn His own children. I do have to disagree with your concept of Jesus’ deity, or lack there of. Let me just say that I am fully open to new understanding on this and all things, and I don’t think it really ultimately matters if we know exactly the nature of God, Jesus. I also agree with most of your stuff otherwise, but as of now I don’t fully see eye to eye on this. 4 And they journey from mount Hor, the way of the Red Sea, to compass the land of Edom, and the soul of the people is short in the way, 5 and the people speak against God, and against Moses, ‘Why hast thou brought us up out of Egypt to die in a wilderness? for there is no bread, and there is no water, and our soul hath been weary of this light bread. 4As I looked, behold, a storm wind was coming from the north, a great cloud with fire flashing forth continually and a bright light around it, and in its midst something like glowing metal in the midst of the fire. 5Within it there were figures resembling four living beings. And this was their appearance: they had human form. 6Each of them had four faces and four wings. And above the expanse that is over their head, as an appearance of a sapphire stone, is the likeness of a throne, and on the likeness of the throne a likeness, as the appearance of man upon it from above. 27 And I see as the colour of copper, as the appearance of fire within it round about, from the appearance of his loins and upward, and from the appearance of his loins and downward, I have seen as the appearance of fire, and brightness is to it round about. 28 As the appearance of the bow that is in a cloud in a day of rain, so is the appearance of the brightness round about. 1Then He said to me (the one in the cloud), “Son of man, stand on your feet that I may speak with you!” 2As He spoke to me the Spirit entered me and set me on my feet; and I heard Him speaking to me. 3Then He said to me, “Son of man, I am sending you to the sons of Israel, to a rebellious people who have rebelled against Me; they and their fathers have transgressed against Me to this very day. 4“I am sending you to them who are stubborn and obstinate children, and you shall say to them, ‘Thus says the Lord GOD.’ 5“As for them, whether they listen or not—for they are a rebellious house—they will know that a prophet has been among them. 6“And you, son of man, neither fear them nor fear their words, though thistles and thorns are with you and you sit on scorpions; neither fear their words nor be dismayed at their presence, for they are a rebellious house. 7“But you shall speak My words to them whether they listen or not, for they are rebellious. 8“Now you, son of man, listen to what I am speaking to you; do not be rebellious like that rebellious house. Open your mouth and eat what I am giving you.” 9Then I looked, and behold, a hand was extended to me; and lo, a scroll was in it. 10When He spread it out before me, it was written on the front and back, and written on it were lamentations, mourning and woe. The word tabernacled among us, the glory of the Lord filled the tabernacle, the likeness of a son of man in the cloud which is the glory of the Lord. That “man” sits on a stone throne, above the cherubim, the arc of the covenant was the throne of God with cherubim underneath where God would “sit”. Out of that throne came spirtual water, that Rock is the Christ. Many times the Word of the Lord has physical shape, he touches, puts hand on shoulder, has a sword, has feet. This one seems to say the Son is God? Thank you for your informative article. Having studied and prayed about Jesus’ ‘identity’, for the past 25 years I’m still unsure, but tend to lean towards Jesus being God’s Son, NOT God the Son. Is it really feasible that we have Paul and the apostles clarifying Big subjects like circumcision, but no one had a problem with Jews claiming God was a man called Jesus? Where’s the controversy in the Greek scriputures, or even a hint that there was one? This seems very strange. Even today, orthodox Jews reel at the idea of a ‘trinity’, which I don’t believe is taught anywhere in scripture. Thomas’s statement ‘my lord and my God’. The Alpha and Omega statements in Revelation. Thank you for writing this article. My prayer is this will reveal the truth of God, Jesus and the Holy Spirit to many! I was saved as a teenager; but the “church” turned me into a rebellious teenager as they could not answer these questions. I could not understand the “trinity”. They could not prove it by the Bible – I had to have “faith” in man’s words. I did not discover this truth until I started seeking the truth for myself through reading the Bible & prayer. God revealed to me as He did when I was a teenager – the “trinity” is a false teaching! God is real to me now! The Bible did not make sense to me with the trinity teaching – if Jesus is God, why is he talking to himself – Jesus didn’t need to pray if he is God – once God reveals the truth, the Bible comes alive – it starts to make sense! Thank you, again. BTW, I have lost many “christian” friends because I refuse the trinity teaching – I’m a cult believer! I’m going to share this article on FB & I’m sure if they read it (which they usually don’t read my shares), they will unfriend me! Jesus is God. Please read the book of Revelation only. The answer is there. When Jesus prayed to the Father, He is demonstrating to us how to have faith in God. While Jesus was still alive, He always showed that there is God the Father, because He is God the Son. When He was to depart, He sent the God the Holy Spirit (John 16:7). Who do you think is the Holy Spirit? Thank you for your quick reply. Jesus is true God AND true man. Jesus has a father and a mother. Jesus is called the Son of God because His father is God (Luke 1:35). He is called the Son of man because His mother, Mary, was a human being (Luke 2:7). Who was speaking in the book of Revelation? Who was asked to write what he was seeing? Why is the name of Jesus in Revelation? The description of God is in Revelation 2:1, 8, 12, 18; 3:1, 7, 13. Who is the “Son of God” referred to in Revelation 2:18? Who is “which was dead, and is alive” in Revelation 2:8? If you say that God is God the Father and that the Holy Spirit is also God, then you have two Gods. Isn’t it that there is only one true God (John 17:3)? And that God is a spirit (John 4:24)? Why is it in Matthew 28:19, Jesus as a spirit, said “Go ye therefore, and teach all nations, baptizing them in the name of the Father, and of the Son, and of the Holy Ghost”? You see, only one name. Singular. Because there is only one God who made Himself into three: as the Father who spoke in the Old Testament, as the Son Jesus Christ who spoke in the New Testament, and as the Holy Spirit who speaks to us (plural), tape recorded. Who is the spirit in the physical body who we call Jesus Christ? If you want to go to Heaven, you have to believe that Jesus Christ is true God AND true man and you ought to have works, for James in 2:26 said, “For as the body without the spirit is dead, so faith without works is dead also.” You will not enter the kingdom of God by faith alone. Jesus said in John 14:6, “I am the way, the truth, and the life: no man cometh unto the Father, but by me.” To go to God in Heaven, one has to believe in Jesus and pass through Him. What are the descriptions of God? We read in Genesis 1 God created man in His image – this is the Son (Christ) which is spirit-man (both male & female are the same in the spirit). Flesh and blood man was not created until Chapter 2 – Adam. Spirit-man (Christ) was called Lord God; but flesh & blood man became alive when the Lord God (Christ) breathed his spirit into Adam. Now we have a flesh & blood man with the spirit within. God only created the spirit man – Christ (Lord God) created the flesh & blood man from dust. The spirit man lived with God since the beginning of the creation – we do not know how long the spirit man existed with God the Father prior to giving life to Adam. God existed before the creation – but Christ was birthed as spirit man as a part of this creation. We really need to understand the creation of man to understand that Christ is not God. He was the first son created in spirit during the creation – study the first couple chapters of Genesis to understand Christ – the spirit man – the Lord God! The Lord God (Christ) is who the Old Testament is written about – the OT is a revelation of the Lord God (Spirit-man) coming in the flesh as Jesus Christ. Jacob seems you don’t realize that Jesus was the personality-son of man…but His Christ in him which is Spirit makes him as born from above..meaning he has become spirit and is the Son of God..
he meant .i.e. He who has formed the Christ within has seen the Father as I have… .. Though Jesus the man said My Father is greater than I ..the I he speaks of here is his personality… the natural man. But…as He Jesus the man has at the end realized his godhood.he realizes that he is one with the Father and there is no Separation between God and Christ.They are ONE. Therefore Jesus man who became Jesus the Christ boldly states ..
.i.e. He is One with his Father …” “ I and my father are One.. It is true that “…as he is we are also in this world.”..as Jesus the man was so are we …but when we “regenerate …via the Second Birth we are changed to Christs/Spirits… namely children of the ONe Spirit we call Father God . Adam was a living Soul…but he becomes a live giving Spirit…at the end…as God has live in himself ..so he has given his sons to have life in themselves as eternal beings..ie spirits..He is the vine we are the branches..etc..
All are One in the One only Power there is and ever will be ..God the Father and all his children as ONE. God is the one that came down to this third dimensional realm,..in the flesh of man..and buried himself/crucified himself in man, so that at the awakening of the Christ child,t within us,the spirit of Gods child the Christ is the one being born in us…i.e It is god himself that awakens in us as Christ the only begotten Son of God… . the natural man/the ego personality is not the one that boasts to be god…but the Spirit man or the Christ man…He is God. So Jesus is God and so are we at the very end of our soul journey to Perfection. “Be You perfect as your father in heaven is Perfect”. Thank you for the comment. I will have to revisit this essay… as PERHAPS you did not catch what I was throwing down… First let me clear a few things up. Christ is NOT God… Christ literally means the ANOINTED OF GOD, or ANOINTING… Also, scripture tells us what this TITLE “Christ” is… Christ, the power and wisdom of God. So, WITHIN the MAN JESUS was the CHRIST. Just as we read that the WORD is in JESUS, that JESUS was the WORD, and just as we are also called the EPISTLES (WORDS) to be read. Jesus was the light or the world, so are we. That all being said, I do agree with you… WE ARE ALL ONE… we are on a JOURNEY TO PERFECTION… So sure you can say Jesus is God, just as you can say I am God… but TRULY that would be, in my opinion, a bit naive… instead, we must understand GOD IS ALL THERE IS… and we are unique parts of the whole, UNTIL we ALL COME TO THE KNOWLEDGE OF THE TRUTH AND THE STATURE OF THE PERFECT MAN.